Super Grip Entrance Scraper Mat for Removing Mud and Dirt. 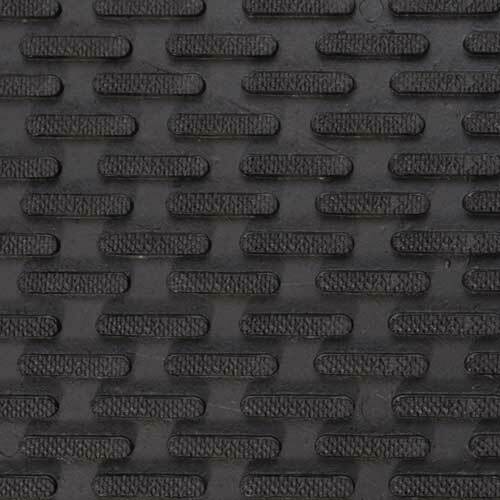 Heavy duty 100% nitrile rubber mat. Excellent wearability and weather resistance. Cleated surface provides superior traction. Non-skid gripper back. 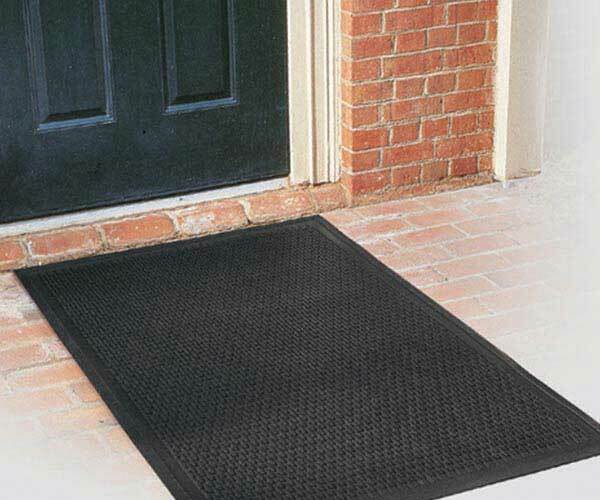 Our Super Grip Scraper Mat is an ideal outdoor entrance mat. Recommended uses include: Outdoor high-traffic entrance areas such as schools, office buildings, restaurants, ski resorts, and other recreational facilities exposed to snow and mud conditions. 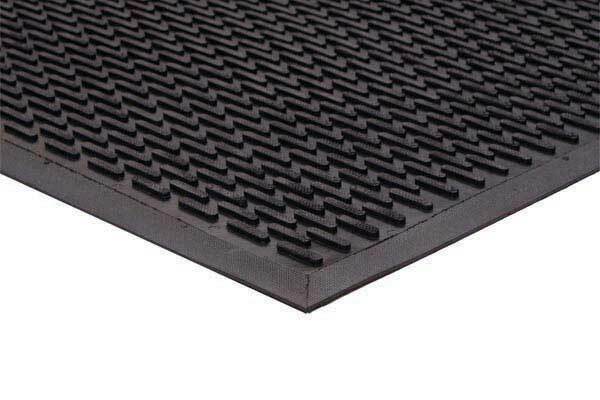 Our Super Grip Scraper Mat is a 3/16" thick eco-friendly entrance mat made of recycled rubber (60% recycled rubber materials). This is a heavy, durable, 100% Nitrile rubber mat that provides excellent wearability and weather resistance. The cleated surface provides superior traction and scraping ability. The dirt is channeled below walking surface. This mat is extremely easy to clean – just hose off. In addition, the non-skid gripper backing helps keep mat in place in all environments. Made in the USA. * Note: Please allow up to a 2-3% tolerance from the actual size. 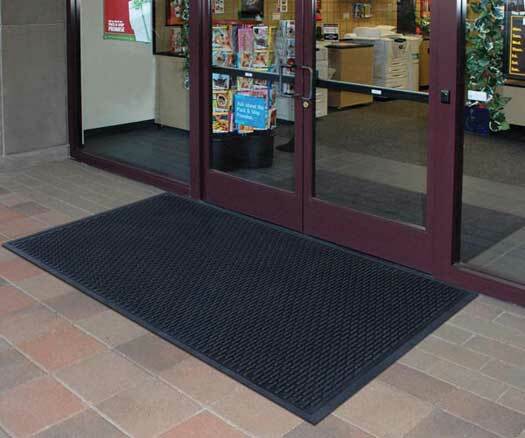 Our Super Grip Scraper Mat is an ideal outdoor entrance mat. 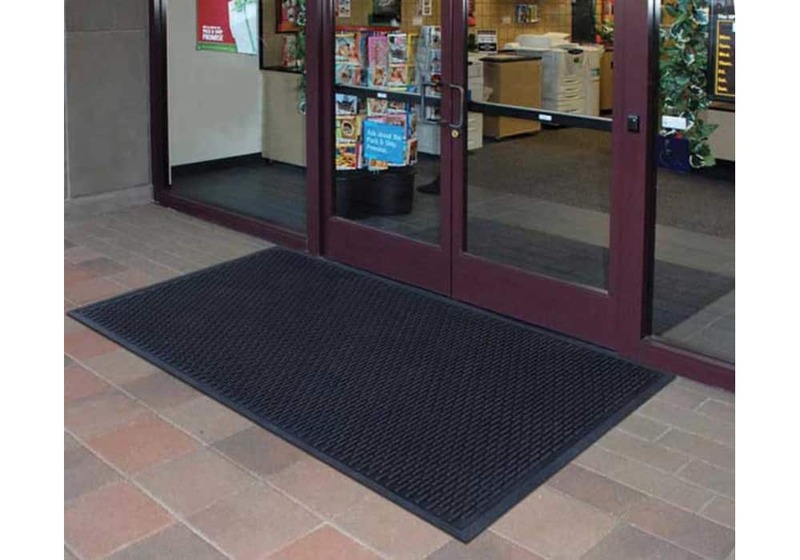 Eco friendly entrance mats made of recycled rubber (60% recycled rubber materials). Heavy, durable 100% Nitrile rubber mat provides excellent wearability and weather resistance. Cleated surface provides superior traction and scraping ability. Dirt channeled below walking surface. Non-skid gripper backing helps keep mat in place in all environments. Easy to clean - just hose off. Outdoor high-traffic entrance areas such as schools, office buildings, restaurants, ski resorts, and other recreational facilities exposed to snow and mud conditions.